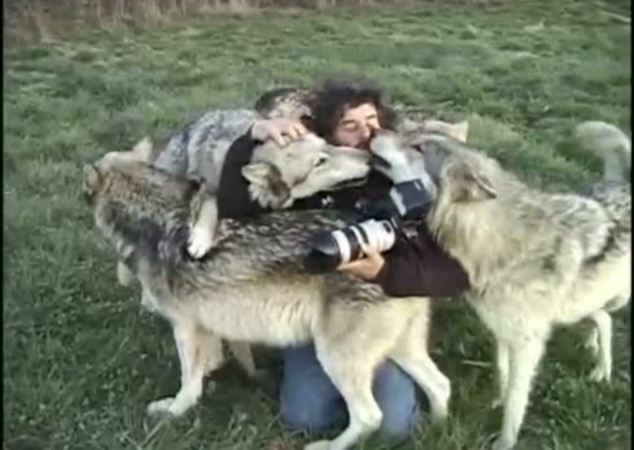 Five grey wolves kiss and cuddle a photographer - who is happy to join the pile of love. Mr Sloan is poised to take a picture but it seems he cannot resist returning the sharp-fanged animals' affection. 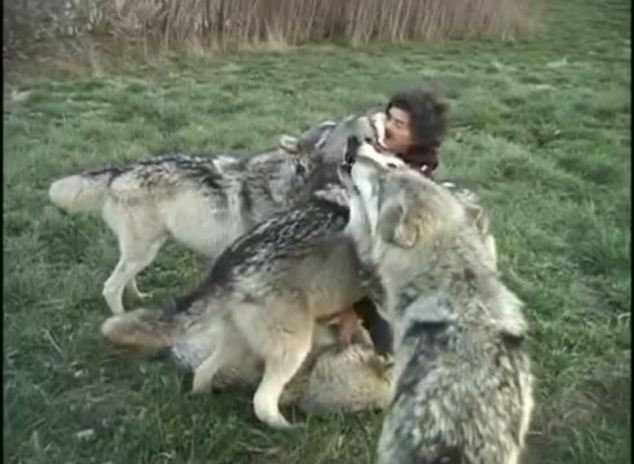 Alarmingly, in the Park's description of the pack, they explain that they are 'very friendly' to their prey - but sources insist this was a moment of genuine affection. Wolf Park is a not-for-profit organization dedicated to behavioral research, education and conservation, with the objective of improving the public’s understanding of wolves and the value they provide to our environment. Wolves were reintroduced to Yellowstone Park. Wolf Restoration Project Leader, Doug Smith was a former intern and “puppy mother” at Wolf Park. 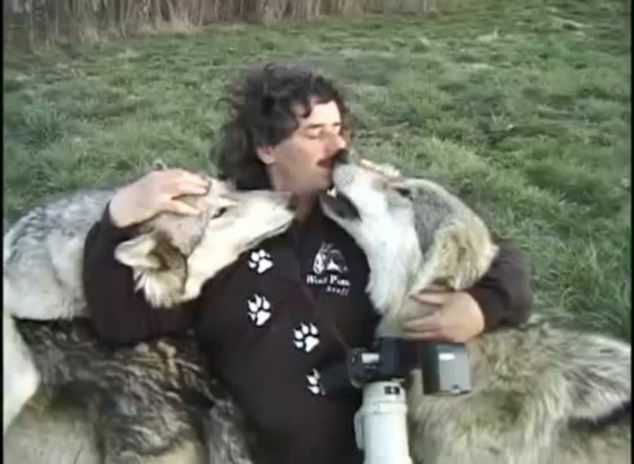 Responses to "Wolf Love Pile: Photographer Cuddles Up With Huge Pack Of Gray Wolves"
All vying for attention! Pet me, no pet me first!